Along the harbor shoreline in sunny San Diego is the most magnificent collection of sculpture, all set against the blue waters of the harbor. 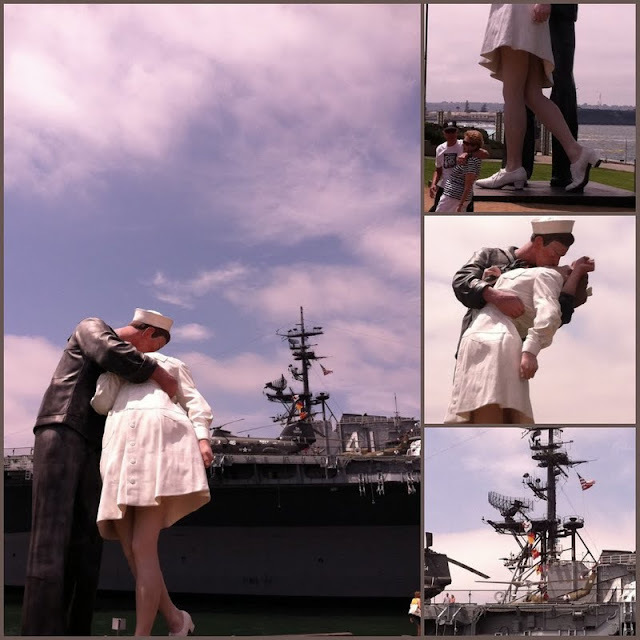 This statue recreates the famous 'homecoming' photograph. in proper scale with the Midway in the background! How very interesting! I have never seen anything like them before. I especially like the one with all of the shovels on it. Glad you are back...missed your postings. Thanks dear, I appreciate that!